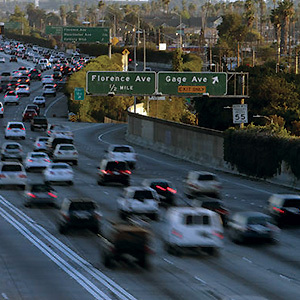 Air pollutants from cars, trucks and other motor vehicles are found in higher concentrations near our freeways. People who live, work or attend school near major roads appear to have an increased incidence and severity of health problems associated with air pollution exposures related to roadway traffic including higher rates of asthma onset and aggravation, cardiovascular disease, impaired lung development in children, pre-term and low-birth weight infants, childhood leukemia, and premature death. Children, older adults, people with preexisting cardiopulmonary disease, and people of low socioeconomic status are among those at higher risk for health impacts from air pollution near roadways. The City of Los Angeles' has proposed a city-wide air filtration requirement for new and major rehabs of multi-family properties near freeways, a component of the Clean Up Green Up Program to reduce pollution in 3 Pilot Green Zones. Come and hear from a health expert on why it is important to mitigate freeway generated air pollution. Then hear from the LA City Planning Department on their proposal. And finally, hear from IQAir, a leading air filter manufacturer, on evolving air filtration technology to reduce ultra-fine particles such as those emitted from freeways. Lunch will be served. Members of the SCANPH Property & Asset Management Working Group (PAMWG) are invited to attend this meeting.